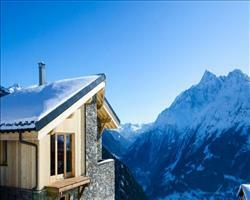 The ultimate guide to La Rosiere ski holidays. A quiet French resort, this little village oozes calm and is just the ticket for those looking for a ski break with space to spread out on the slopes. Perched on the Franco-Italian border, La Rosière can be found just under two hours drive from Chambéry. 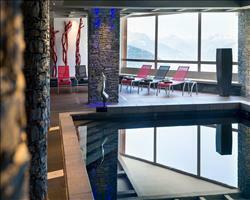 Regular bus transfers take train travellers from Bourg Saint-Maurice to the resort. Place your bags and luggage down upon arrival and take a second to appreciate the spectacular views over the sweeping Tarentaise Valley below. Once you’ve stored your things safely in your accommodation, take a twilight walk through the lit up, traffic free streets of La Rosière 1850. Seek out your local supermarché and dairy stores for all your weekly supplies including cheese - and lots of it! Sample the finest French mountain cuisine of cheesy tartiflettes and fondues at restaurants like Le Genépi and L’Ancolie, followed by the lightest of pizzas over in Italy at the Ristorante Pepita Café and Pizzeria le Dahu in La Thuile. A forest of wood and stone Alpine chalets, ski hotels and apartments open their doors to all ages at La Rosière, inviting couples, families and groups alike to their cosy interiors. On the slopes, however, it’s quite a different story. Intermediate and advanced skiers and boarders go wild with the ski area’s jungle gym of snow zones with a spot of kite skiing. Especially suited to family ski holidays (with the accredited Famille Plus label to recognise it) this is a fantastic place to take little ones to learn to ski. Thirty-three wide, short beginners’ runs will build debutant skiers and boarder’s confidence: they’ll soon be taking the Roches Noires Express chairlift to try out longer blue runs. With the standard local ski pass of San Bernardino, ski the Espace San Bernardo which covers 160km in French La Rosière and Italian La Thuile. View our detailed La Rosiere snow forecast or snow report and see all live webcams, piste maps, road and travel maps and lift pass prices. For a picture of historic snow conditions see the snow depths month by month with our La Rosiere snow history. Thirty three beginners’ routes are ideal for first time skiers to become familiar with the slopes. From La Rosière 1850m centre, watch time fly as you go up and down the green runs of Clarines, Ecureuil the Forêt and the like. Then it’s all aboard the Roches Noires Express to push yourself to the next level of blue runs. Beginner boarders will be grateful for the Roches Noires and Landelieres chairlifts, offering long, sloping blue runs with all the practise space needed for Traversing heelside moves. Intermediates should make use of the San Bernardo lift pass and see La Thuile for some Italian forest runs to put you through your paces - stop by the red San Bernardo leading down to La Thuile for the longest run. Climb up 2188m to the Col du Petit Bernard where the Fourclaz Express and Piccolo San Bernardo Express provide a series of wave like red runs, riding up and down the zig zag formation of the pistes of the Secteur Col du Petit Saint Bernard. Crash over the peaks towards Gran Testa for further intermediate runs. La Rosière knows the kind of challenge advanced snow lovers like and they’ve created the black classified Zittieux snow cross to trail off piste through Alpine forest. Follow the Fontaine Froide down for a descent with breath taking views over the Tarentaise Valley below. Add one snow park, one boarder cross, one snow cross and one snow kite area, and you have La Rosière’s magical potion of ski fun! The snow park is a rainbow of blues, greens and reds including boxes, rails and big air. The boarder cross offers raised curves and slalom gates to keep you on the ball. Above La Rosière 1850m, snow kite departures require a fast track gear change that’ll have you flying down the slopes. The hustle and bustle of après ski will be mostly coming from the restaurants and bars of this family-friendly resort. 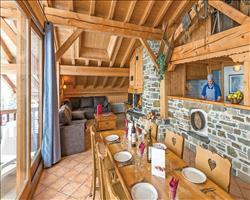 Le Relais du Petit Saint-Bernard’s hotel holds a classic family restaurant, where talented chefs serve up Savoyard family favourites with heart. Its impressive bay windows offer views over the sunny Eastern and Southern slopes and there’s plenty of space for more tables to accommodate groups, great if you’ve got a large gang! 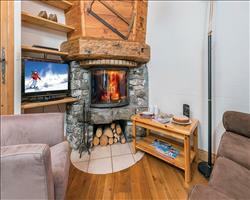 On a romantic ski getaway and fancy a cosier location? 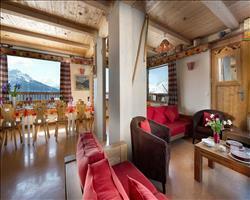 Le Genepi restaurant offers a cosy wooden Alpine interior, with crafted chairs for two. A little higher up on the price scale, this is worth the money for the fine French cuisine on offer. Don’t forget to order a shot of Genepi for a strong finish to an already strong meal. If you like to party and warm bars just won’t do, a livelier atmosphere can be found at Le Petit Danois. They have the beer, the DJ and the BBQ for a classic shindig. Look out for their famous fancy dress events for a memorable night out! Away from the ski slopes, La Rosière is a big fan of snow shoe walking. Three pedestrian paths are served by a multitude of snow sporting organisations. Walk through enchanting forest trails as you revel in the sheltered quiet. But baby, it’s cold outside, so when you feel like you need a little rise in temperature, the Ô des Cimes and Matsuzaka spas are ready and waiting for you to slip into a warm pool and relax those aching joints. When is the best time to ski La Rosiere? Top slope heights of 2650m and 398 snow cannons provide the San Bernardo ski domain with snow sure conditions throughout the season. The resort itself catches a good amount of sun with its south facing position. Later on when the ski season is coming into the Spring, the La Thuile area of the ski domain is perfectly placed on a North facing mountain where you’re likely to find better preserved snow. As a resort that’s more on the petite side compared to its neighbours of Les Arcs and Tignes, visitors are in for a quieter ski experience on the slopes, with plenty of space to ski or snowboard to your heart’s content on wide, gentle runs. You can usually ski La Rosière from mid-December up until late April. 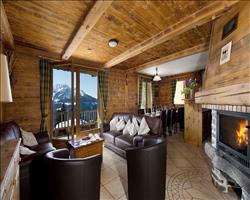 Stay in a catered chalet such as Chalet Cervinia (which sleeps 8-10) for a family holiday with a dreamy five minute walk to Les Eucherts ski school meeting place. Some of our chalets offer their own nanny services for younger children- inquire with us for chalet childcare options when making your booking. Hotels often offer their own childcare facilities too as well as varying board types, so you won’t have to worry about cooking after a day on the slopes. 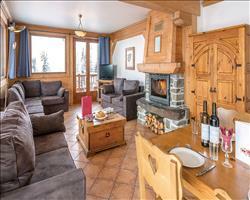 Apartments often make the cheapest option for family holidays and with properties like Les Cimes Blanches being perfectly positioned on the slope side for ski in ski out opportunities, kids will enjoy the trip home as they scoot to the front door. For a direct journey to La Rosière, take a look at our flight and transfer packages. We find the closest serving airport for your departure date, to keep travel time to a minimum, so your little monkeys won’t be cooped up for long. Self-drive holidays with channel crossings are a great idea for kids who don’t mind a lengthy drive- the countryside views are certainly worth it. And if you’ve already got your travel in mind and are just looking for accommodation, most of our hotels, chalets and apartments are available to book separately. Awarded the esteemed ‘Famille Plus’ label for its top notch family facilities, you can be sure that you’re onto a winner with this resort. The two kids’ clubs of Les Galopins can be found in Les Chavonnes Hautes and L’Averne, accepting toddlers from eighteen months to twelve year olds for all their sledging, arts and crafts and siesta needs. Qualified instructors will take those old enough to ski up and around the beginners’ runs, so they’ll soon be able to give you a run for your money on the slopes. Beginners’ areas come with magic carpet and rope tow, so little ones won’t tire themselves out walking up the slope or on difficult ski lifts. Continue the family competition of an evening doing some bowling at the Kitzbühel to see who’s the master of the clan. Other non-ski entertainment includes a cinema showing movies in both French and English and an ice rink, so kids will never get bored... And as parents enjoy a glass of vino at the rink side, you won’t be hearing words of boredom from the grown-ups either! Apartments are an affordable option for large groups of people, and ideally located for daytime skiing and après ski activities set at the bottom of the pistes with a few minutes’ walk to the heart of town. Keep sole occupancy chalets in mind for luxury and a space all of your own in addition to a chalet host preparing your week’s meals. Enjoy a bird’s eye view over France with Sno’s flight and transfer deals to La Rosière, departing from your most convenient airport. For groups that like to bond on a road trip through some spectacular French landscapes, book one of our self-drive holidays, with channel crossings included in the price. If your friends live all over the country, then an accommodation only holiday may work out better for you, as each member of the party makes their own way over to la France. 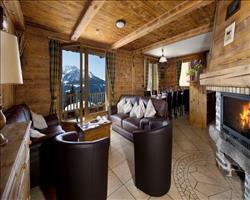 This resort is perfection for groups of advanced skiers, as you put squabbles over who’s the best skier to the test. Race down the mountains with the aid of a kite propeller and dip in and out of Alpine trees on the off piste snow cross. For groups of varying abilities, a mixed selection of thirty-three beginners’ runs, thirty-two intermediate runs and fifteen blacks means all the gang can come along! From Le Belvédère 2641, find runs to sort all abilities. And if friends aren’t all that keen on the idea of skiing or boarding, but still wish to come along for some snowy fun, La Rosière offers its second pastime of snow shoeing, where all ages can enjoy enchanting views at an easier pace. Beat other non-skiers to the bottom of the sledding slopes to see who travels the fastest on their derrière. And that’s not even talking about La Rosière’s group friendly après ski. Warm up your vocal chords in preparation for karaoke at Appin’s Bar. After a round of Chartreuse shooters and singing, move onto Le Pub, for some late night dancing. "Our favourite resort & child friendly"
Obviously we are very bias to this resort as we did our season there. It is our favourite however may not be for everyone. 1) Best Bar has to be Petit Danois – based in the main resort – definitely a seasonairs bar and in the evening very busy. Live bands and good music. Also do a mean Pizza. You can also head to LePub for a later night drink and more partying. 2) La Genepi offers traditional gourmet cuisine, very expensive and gets busy on staff nights off however well worth it. We also went to a posh restaurant in the town centre this year, however cannot remember the name for the life of me. 3) Best run has to be Tetras. Great view of Bourg, a long open easy blue, however it is the run back to town so can become very busy and cut up late on. Marmottes down past Les Eucherts is a good red run, often very quiet. 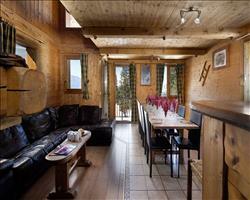 4) We worked in Ferm De Elisa – a great chalet, very clean of course. Good seating area, ski to door and boot room included. 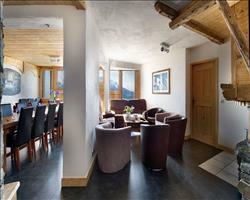 When we went on holiday this year we went with Ski Olympic to Chalet Grand Planica. Again very clean and boot room/fitting in house. Ski to door. Biggest bonus here is the sauna, swimming pool and Jacuzzi. Highly recommended. Overall the skinning here is amazing, suitable for all ages/abilities. The views also pretty special and the sun is more often than not shinning as it is South facing. You have the added bonus of being able to Ski to La Thuille. Just beware of school holidays. La Ros is very much geared towards children and prides itself on being child friendly, can get very busy during the holidays. Not the place to go for crazy après ski, however if you want skiing for all abilities and great weather the place to be. "So good we’re hoping to retire there!" 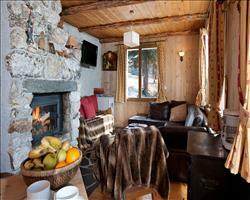 La Rosiere is lovely, it has everything we want from a ski resort. I thoroughly enjoyed our week here in February, so much so that we’re going to buy somewhere here when we retire. The area has runs for mixed abilities and the time of year we went wasn’t that busy at all. For young families, the resort has great facilities for children – the nursery facilities we saw were smashing. For young people it’s a great place for nightlife that wasn’t loud outside. Where we stayed was pretty quiet, but if we wanted something busier we could have easily found it. We love La Rosiere and have been there three times now. It’s very family friendly which is perfect for our children (aged 7 and 9) and for us there’s easily enough for a weeks’ worth of skiing, with plenty of skiing over to Italy if it’s open. The area is south facing so you get a lot of sunshine, but its high enough not to have to worry too much about slush. The ski pass is only something like £165 which is really reasonable and eating out isn’t expensive either. 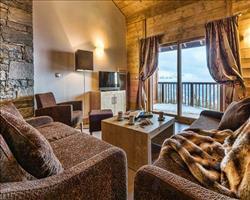 It’s also a pretty attractive, with good views over to Les Arcs and La Plagne. The weather was a bit foggy in April, but overall La Rosiere is a good resort and I would recommend it to other families. It’s close to the slopes and the children’s areas are good. There’s a little nursery area with an escalator as well as a play park nearby which was great. "Excellent for younger kids and learners"
We’d been to La Rosiere before and had an excellent week here with the children, we’ve already booked next year’s holiday here! If you’re teens or 20-somethings looking for nightlife it’s not the place for you and you won’t find 5000 black runs either, but it’s an excellent resort for beginners and children with plenty of wide blues and reds to practice on. Snowed like mad here on the second week of February. We thought there might be trouble getting home but it was fine. We usually have great weather when we ski, and this was probably the worst we’d ever seen – 3 days the light was bad and it was very snowy. It’s not anyone’s fault though and it made the resort very picturesque. On the whole we thought La Rosiere was alright; it isn’t the best skiing area (probably best for up to intermediates, there aren’t a lot of black runs). But it’s OK and worked nicely with our budget. "Lots of variety – a little bit for everyone"
Neither of us had been to La Rosiere before – it’s quite a quiet resort, but it’s nice. Considering it was towards the end of the season we got quite lucky as it snowed the night we got there, which saw us through the next few days (though it was a bit windy at times). One of us has done quite a lot of skiing, and for the other this was a first ski holiday: The ski school was good and there are plenty of interesting easy runs that a beginner can do, and more advanced skiers can go along without feeling bored – which is exactly why we chose it. The ski area is nice and varied, especially over to Italy so you’ve got plenty to choose from between the two connected resorts. There wasn’t a massive amount of snow over New Year’s, so we had to go high – but it was still good. La Rosiere is a quiet but very nice resort and it’s possibly somewhere we would consider going again. It’s probably more a resort for intermediates, there isn’t much for advanced skiers and there weren’t that many slopes for beginners. "First visit to La Ros"
First time in La Rosiere and I thought it was quite special. The resort was quite busy (turned out it was Parisian half term) and I would have preferred it to be quieter, but the snow quality was good. The runs are very varied – I’m an experienced snowboarder and my wife was a new skier and we managed to find a good medium. Would be happy to ski here again. "Why La Ros is Great for experts"
Straddling the border between France and Italy, La Ros has plenty of groomed skiing between the two - if you laid out the pistes of the San Bernardo ski area from end to end, they’d run from London to Birmingham. Some of the finest, if you enjoy shooting through the trees, are the glades above Italian La Thuile, accessible from either the Les Suches gondola or Bosco Express chairlift. Closer to home, the reds and black down to Les Escudets make for a rip-roaring descent. These are overshadowed only by the area’s off-piste, like the challenging trails from the Col de La Traversette chairlift. All this, coupled with the fact that this is one of the only French resorts in which you can heli-ski makes for an incredible week on the white stuff - Evolution 2 have four different drop-off points including the glorious3267m Glacier du Ruitor. La Rosiere came up as a last minute holiday and we really enjoyed it – it’s a nice little village. 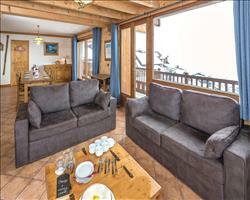 You have some nice views of Mont Blanc and could ski over to La Thuile which has views of the Matterhorn. The area has a bit of everything although there weren’t so many boarders around. There was plenty of snow; we had bad weather for a day and a half followed by loads of sunshine. "Skiing for everyone and loads on in the evenings"
I like La Rosiere, the location is really nice and the village is good. There’s always quite a lot of stuff going on each night... out of the week they had an event on 5 of the nights including adult only tobogganing, a freestyle ski show and a torchlight night where you ski down in the dark. You can normally do heliskiing here which is one of the reasons we chose it, although the French and Italians were arguing about rights for the week we were there. We had a lot of snow over two or three days when visibility was poor, but there’s lots and lots to do anyway including lots of shopping. The quality of food in the restaurants is excellent, and it’s not too expensive to eat out either. The ski area is good and caters to all areas. We had a whole wide spectrum from beginners to off-piste skiers and we did it all. You have everything from the steepest black run in Europe over in La Thuile, to the most moderate piste. Skiing over the hill to La Thuile only takes an hour or so (and it’s easy, my son could do it with no problems) but you need to choose a good day to do it. Luckily the snow was good while we were in La Rosiere even though it was a hot week. We had glorious sunshine the whole time. It was starting to get mushy towards the end of the day down at the bottom of the slopes. I wouldn’t have wanted to go the week after. 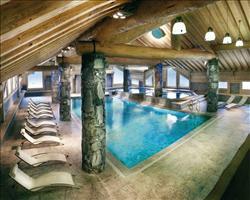 It’s a great resort for families, it’s quite limited but then you can ski over to La Thuile in Italy. It was great for what we needed and wanted; I’m not sure I would go back there if I was on my own or with friends. It’s quite small. The last thing we wanted was a party town. I can imagine that during half term it’s heaving, but when we went it was quiet and there were no queues. I’ve been to Val d’Isere before during peak season and had to queue for a long time at the lifts. Our daughters used the ski school which was fine. On the first day it was slightly chaotic, but it sorted itself out. Initially our daughters were a bit older and more capable than the rest of their group, but after the first day they moved them into a better group. The ski instructors were great. We normally just grabbed a sandwich for lunch from the supermarket, which is a short walk from the centre of town. We got chips up on the mountain sometimes too. We didn’t go out in the evenings because all we wanted to do was ski, and then relax after. We did go out for a meal to one restaurant which turned out to be quite expensive, but it was very good. La Rosiere is great for families. Everything is nearby. It’s quite a small place, there isn’t so much there. We went bowling one night, but it was in the neighbouring village and it was a bit of a trek to get there. The ski area is really open, there aren’t many trees. You can see all the off-piste because of this. The skiing is good, it’s brilliant for beginners but there aren’t loads of reds and blacks. You have Italy as well though so there is plenty to do. We have rebooked for next year because we had such a good holiday here. "Go over to La Thuile for more challenging skiing"
It’s lovely! We are hoping to go back next year. We are very experienced skiers, so experts I suppose, and the skiing around La Rosiere wasn’t really sufficient, however we went over to La Thuile where it is more challenging. It’s definitely more of a resort for beginners. We met some nice people while were in La Rosiere. It was very windy and snowy, at times we were the only ones on the mountain! "La Ros New Year 15/16"
The resort is quite compact, not very extensive. We also went early in the season and there was not much snow towards the bottom of La Rosiere and La Thuile. For après ski we went to Avalanche in the main town centre in La Rosiere which I would recommend. Generally, we thought La Rosiere was good, the fact that you can link across into La Thuile was important. If it was just La Rosiere my son and I would probably have done it in 2 days, but the fact that we could pop over meant that it was fine. I would probably recommend it to beginners, the ski school was excellent. We had a lot of snow in March - all in all a positive experience. "Perfect for families with young children"
We had a lovely time in La Rosiere, it’s such a good place to bring the family if your kids are learning to ski. They all had a great time with their instructors, who really pushed them so they came out a lot better than they’d started. I wouldn’t recommend the resort for really good skiers but for little kids it’s perfect. My experience of La Rosiere may have been slightly impacted by the weather of which there were blizzards for the majority but to me La Rosiere felt a bit small with me repeating runs on a daily basis. It was challenging especially for a snowboarder to get to the Italian side of the result due to a drag lift being the main form of access. I however found the signage very informative and we rarely got lost. I would say the resort is better for beginnings as there are a lot of blue runs. "A lovely resort but limited skiing"
The resort itself was absolutely lovely, even though it was purpose built it’s probably one of nicest places we’ve been to. The skiing itself however was limited – it was very exposed at the top and although the weather was good, the snow wasn’t absolutely brilliant. To get over to Italy you had to use some very, very long drags which weren’t open when it was windy. We made it over once but didn’t bother after that. "Preferred skiing in La Thuile to La Rosiere"
It took us about 3 days to ski the whole area. There was more to do on the La Thuile side of the ski area, we preferred this side. There were some very nice little runs through the trees, and these are better protected from the elements. It was late in the season and it did become slushy at times… going down to La Thuile is lower than La Rosiere and so the snow wasn’t great at the bottom. The skiing was good though and it was high enough for there to be snow still even though it was getting into April. The link over to La Thuile from La Rosiere is a bit of a pain – there’s a long drag lift which you need to use to get over. I probably wouldn’t choose to go back in a hurry since we’ve been here and seen it now. Meribel is more the sort of place I would intend on going back to as there is so much to do there. "Too limited for us, better for beginners-intermediates"
We found the ski area really limited and there wasn’t much to do apart from going over to La Thuile. It would be really good for beginners, maybe going up to intermediates but I don’t think we would return.